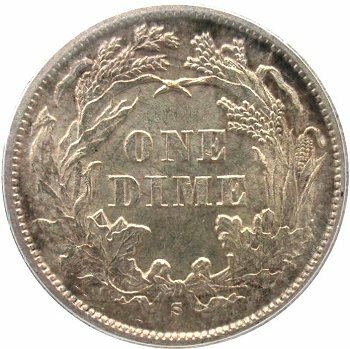 Comments: The 1 digit on Obverse 1 is repunched. 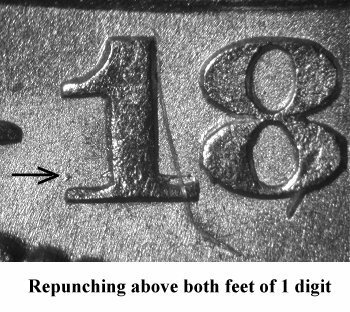 Repunching is visible above the left and right feet of the 1 digit. (S)TATES is broken. Obverse 1 is found in early and late die states, with the primary diagostic being denticle erosion. 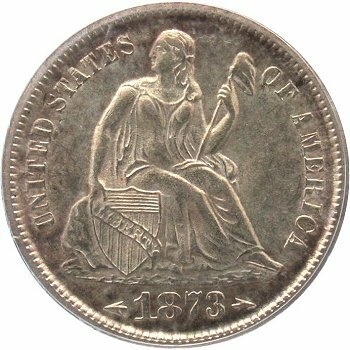 The obverse of the plate coin is considered to be in a later die state while the macro date punch image is from an early die state example. 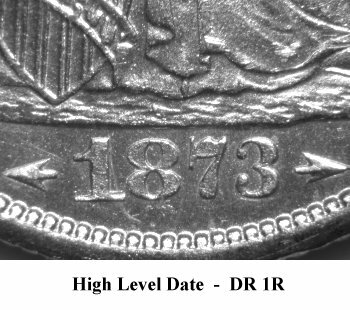 Compare the erosion of the denticles below the date punch. 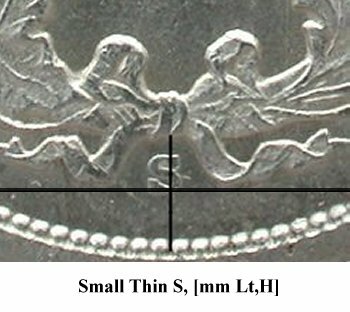 Reverse A is marked with a Small Thin S mintmark. 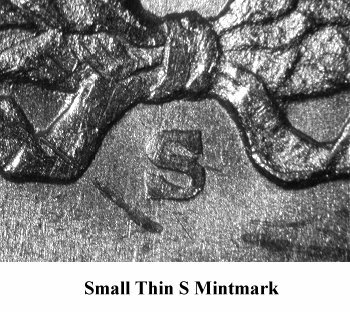 The Small Thin S mintmark style was used previously in 1867 and 1869.